News / Planning / Planning for a South Melbourne double dose? Planning for a South Melbourne double dose? Separate developers with adjoining sites have joined forces to lodge dual planning applications which seek to add 342 new apartments into South Melbourne, whilst also delivering a healthy amount of street level activation. In a sign that Lintime Pty Ltd and Round Bay Pty Ltd have aligned their efforts, both applications were lodged simultaneously during September 2014. 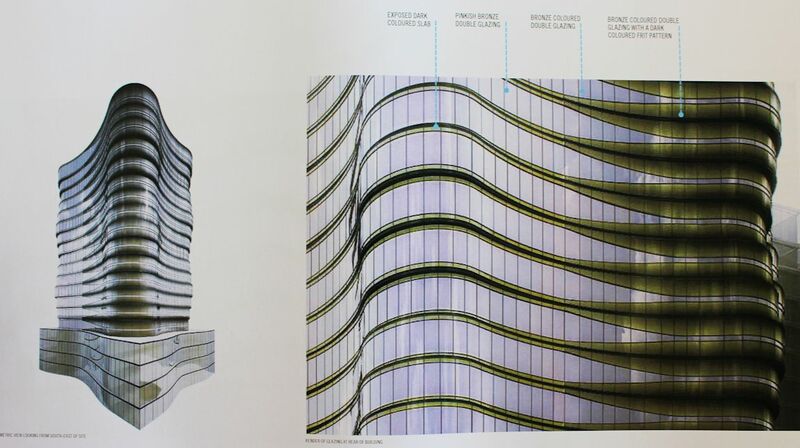 Further, both prospective towers carry the same project team headed by architecture practice Elenberg Fraser, where successful elements from recent designs look to be present in both 28-32 Albert Road and 13-21 Palmerston Crescent. Features for both proposals are outlined below. The Google aerial perspective above provides context as to site orientation and the immediacy that both sites maintain, which essentially are only separated by a service laneway. South-facing 28-32 Albert Road sits on approximately half the site area of 13-21 Palmerston Crescent and is nestled against the recently completed 28 level Albert Tower. Conversely 13-21 Palmerston Crescent carries 1,722sqm of site area and with nearly double the Gross Floor Area of 28-32 Albert Road has a larger number of apartments included. This is evidenced by the number of different apartment types offered in each project, where 28-32 Albert Road holds eight types to 13-21 Palmerston Crescent's 16; all of which are variations of one or two bedroom dwellings. Key to both parties collaboration is the delivery of a seamless mid block pedestrian thoroughfare running the eastern boundary of both sites. As outlined within the planning documents, this enhancement to the public realm and implementation of a key planning policy is only made possible by both parties working in unison. 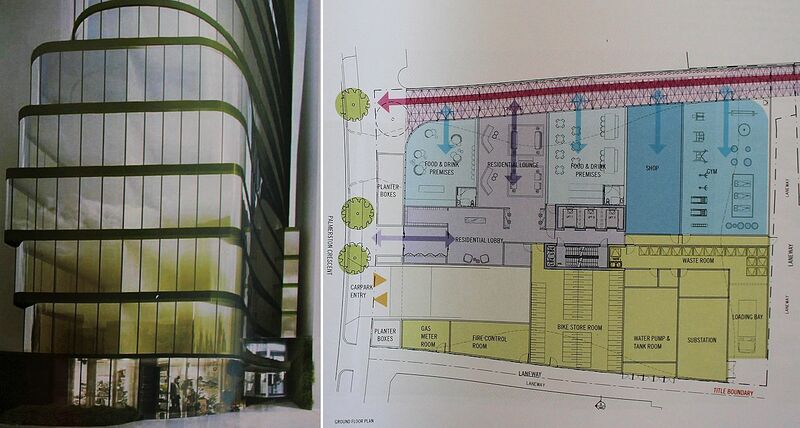 Four food and drink outlets, one retail space, a gym and separate residential lounges will front the pedestrian thoroughfare which is topped with a glazed canopy, whilst services and vehicle entry points for both proposals will be pushed to the western boundaries. Key to the northern portion of the thoroughfare is a green vertical wall consisting of pre grown native plant panels embedded with glass features and serviced by a hydroponic watering system drawing upon captured runoff water. The provision of artworks and a rain garden fronting Palmerston Crescent will round out the street level amenity. The elliptical form of 28-32 Albert Road will be dominated by a green/bronze glazing and punctuated by dark perforated steel panels and anodised aluminium. Conversely 13-21 Palmeston Crescent (seen above) will for the most carry pinkish gold, light bronze and bronze glazing as described within the materials schedule. Elenberg Fraser have described the undulating 13-21 Palmeston Crescent as having taken its lead from natural rock formations which have been carved and manipulated bu the natural flow of water. The fluid design does hold an important feature; graded ceramic frit facing the neighbouring 28-32 Albert Road which will serve as a privacy screen between both developments. City of Port Phillip have requested further information for both projects, with a planning decision likely mid to late 2015. An image set for both towers is available in the forum.